Though there are more options on the market, the combined factors of comfort, durability and style make Protex2 good training gloves for any boxer. Given their attractively low price, those new to boxing should definitely consider Protex2 Evergel gloves for their first pair of boxing gloves. 1. Everlast Protex2 Evergel gloves are a perfect choice for anyone looking to buy a mid-range bag glove for everyday use, though some claim that they also make excellent gloves for sparring. 2. Aside from their absolute comfort that users have said has mitigated even their hardest strikes, these gloves last through the extreme stresses of regular use and still come out strong. 3. Their breathable mesh technology also means that trainers prone to sweaty hands are less likely to overheat. 4. Even professional trainers have left stellar reviews, stating that regardless of heavy usage, the gloves have not so much as ripped a seam. 5. With an excellent return for the reasonable price, Everlast Protex2 Evergel gloves are a reliable pair of gloves that are tough-as-nails. 1. Several users warn that caution should be exercised when buying Protex2 gloves, as those who do not wrap their hands may experience soreness or worse. 2. 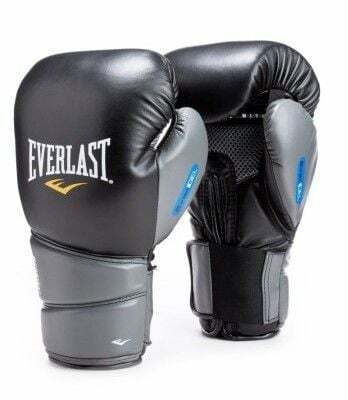 Despite some using these as sparring gloves, several trainers have warned against this, saying that they should be used strictly as bag gloves. These trainers wrote that they experienced soreness and pain on their wrists and hands after sparring sessions, attributing the problem to the Everlast gel not having the capability to absorb the sheer force of an opponents' blow. A proverbial giant in the boxing and contact sport industry, Everlast has become one of the most well-known names to trainers. With a reputation for durability, long product lifespan and safety, Everlast’s Protex 2 Evergel gloves are no exception. 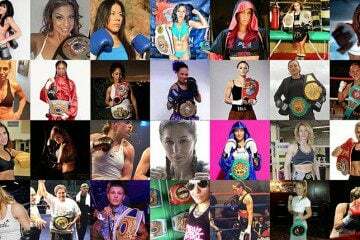 Everlast is trusted by contact sports players and trainers worldwide. Available at a moderate price of around $40-$50 on Amazon, these gloves are a good choice for both experienced trainers and beginners looking to buy quality gloves. With special protective gel integrated with the glove padding, the Evergel gloves provide optimal protection for bag training and sparring. According to testimonials, users will get the best protection if they put wraps on their hands before use, as no gloves can completely protect hands on their own. the specially designed hyperflexion|C3 foam technology provides ultimate wrist support, protection against joint hyperflexion and knuckle protection without sacrificing the users range of motion. After a great deal of input from trainers, Everlast Protex2 Evergel gloves appear to be an excellent every-day bag glove. Trainers who regularly use Protex 2 gloves have claimed that their gloves have held up against every beating they’ve given them, with the worst wear-and-tear suffered being a few busted seams. Overall these gloves hold up remarkably well given their price. The polyurethane/polyester composition of the Protex 2 gloves helps bring the list price down reasonably, but their well-crafted design means that Everlast made no shortcuts when developing these gloves. The most visible feature of these gloves aside from the Large Everlast logo on the front is the dual-collar wrist design. This is a good looking feature that also has anatomical advantages, as the two collars offer exemplary wrist protection. The wrist also has an adjustable Velcro strap for tightness adjustment. The EverCOOL mesh technology built in the palm area also prevents hands from becoming slippery wet with a strategic ventilation design. Great gloves. They are very cheap like for this quality. They are very comfortable, fits well, got enough space inside for professional wraps, gives great protection. Everlast says that they have superior construction and premium synthetic leather… and it is true. They are designed very well, so you can punch precisely, which is not that obvious as you know if you tested a lot of gloves. But the best of all here is a premium synthetic leather. It is as good as natural leather, there is no difference. There is no sign of that it is synthetic at all, no plastic smell, no plastic feel. It is very nice because there is no need to finance slaughter to get high quality gloves. At the end I want to say that I disagree that pain or soreness after using this gloves without wraps is a problem with this gloves. It is a problem with user’s mind. You don’t protect hands – you get pain and injuries. Simple. I agree with overall score of author of this review. 8.5 is a perfect score. They could be like 10-15% smaller, now they may be a little bit too big and that makes them not as universal as you would wish. But those are all very small details and they are surprisingly good.